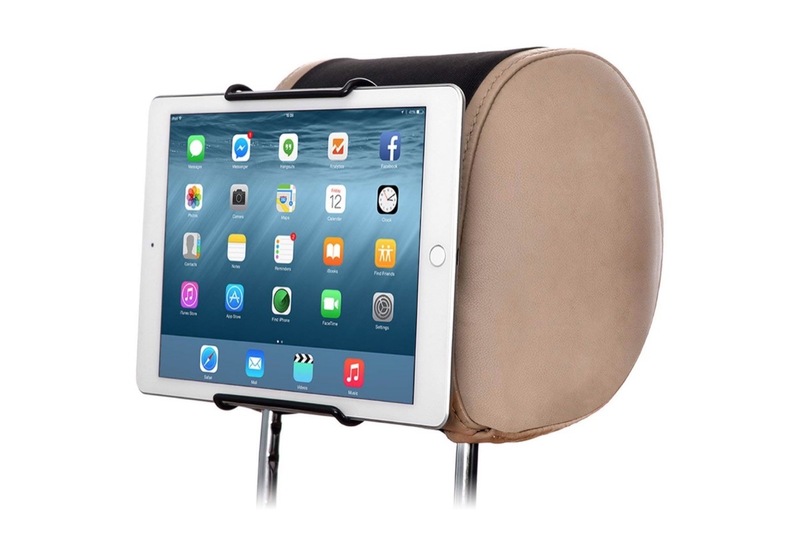 For the dashboard, with attachment to the windshield, to the air ventilation vent or tailor-made for the headrest: the best supports to use iPad in the car. Whether used as a navigator or as a screen for children’s entertainment, the tablet is a great ally on long car journeys. On the web there are dozens of supports that allow you to fix it firmly in various parts of the car, thus being able to adapt its use to the needs of the moment. 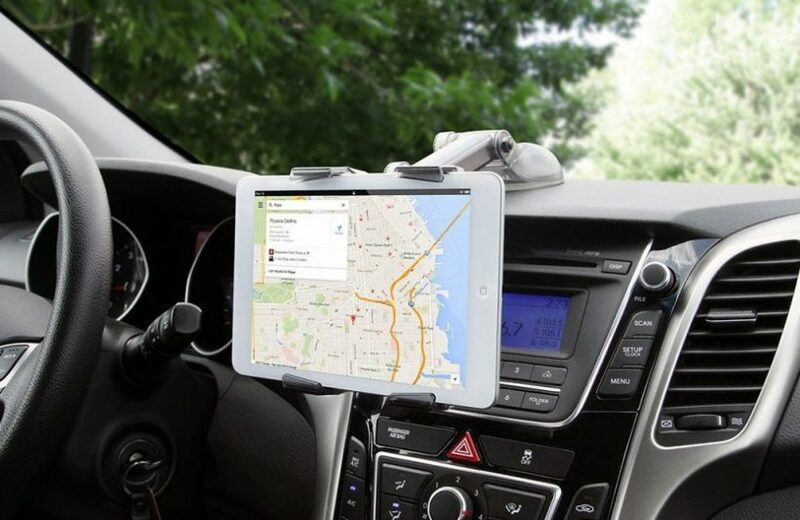 If you want to fix the tablet to the dashboard then what you need is POMILE Tablet Car Holder. 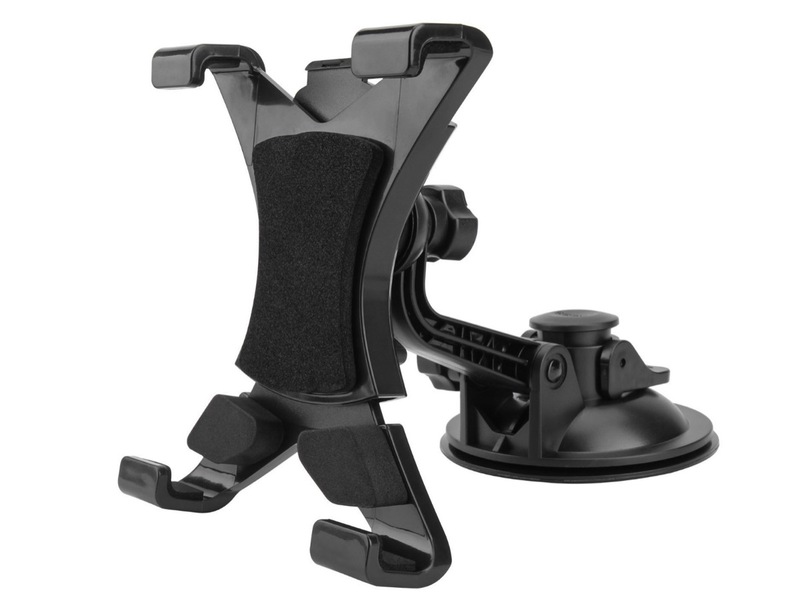 It is fixed to any surface more or less flat through a sturdy gel suction cup that ensures powerful and complete adherence and, thanks to the 360-degree rotatable arm, it can be oriented as you prefer by tilting the screen towards the driver or passenger. 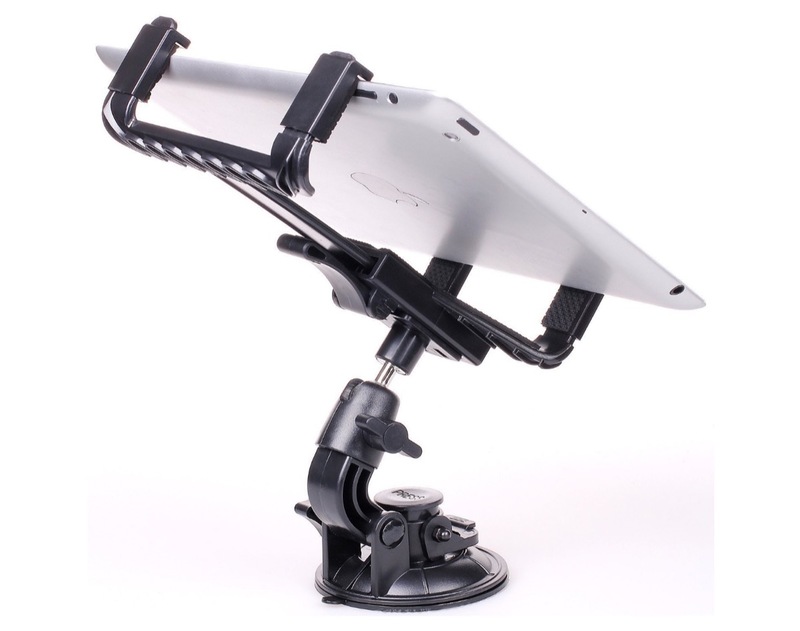 It is equipped with an extendable clamp with rubber inserts that improve the grip on the tablet and, precisely because of its ability to tighten on the sides of the device, it is compatible with all iPads and Android tablets with a short side between 7 and 30, 5 centimeters. With the ease with which you can enjoy millions of songs in streaming for free, who uses the CD player the most? If you are one of these users and want to make the most of the disc insertion point, then rely on APPS2Car, a support with a custom built CD input plate. Inserted in this special area, just tighten the screw to improve grip and you’re done: you will have a stable support, not bulky. 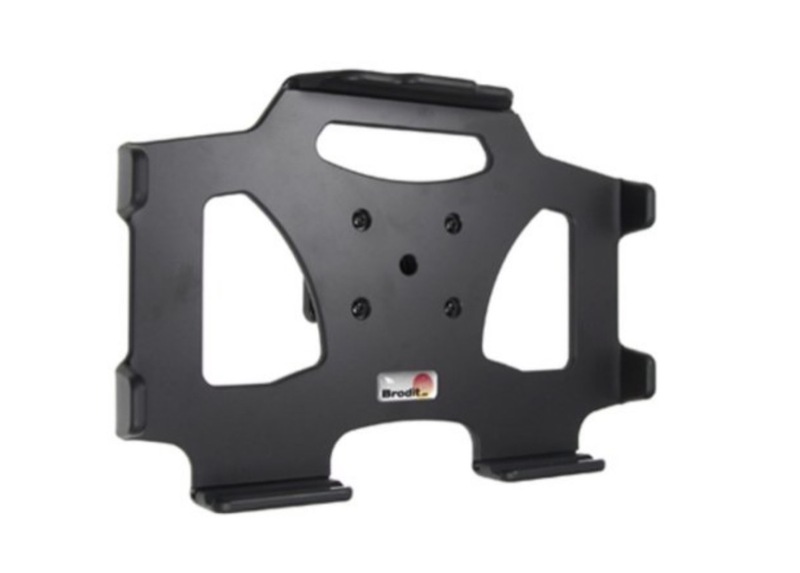 Here too there is an extensible clamp capable of firmly embracing all the tablets with a diagonal between 5 “and 11”. If you want, you can also use it with a smartphone, and in this case you will come across the hole on one of the two pliers, where you can pass the cable for recharging the battery (brilliant)! It is difficult to imagine a support capable of supporting the weight of a tablet by fixing itself to the car’s ventilation vent, but with the Brodit kit it is actually possible to occupy this position with a support capable of supporting any iPad. It consists of a Proclip support – tailored to the various car models – with a joint that attaches to the car with a slight pressure at a specific anchor point and a Passive Holder – tailored to the various tablets on the market – on which you will go then block the tablet. 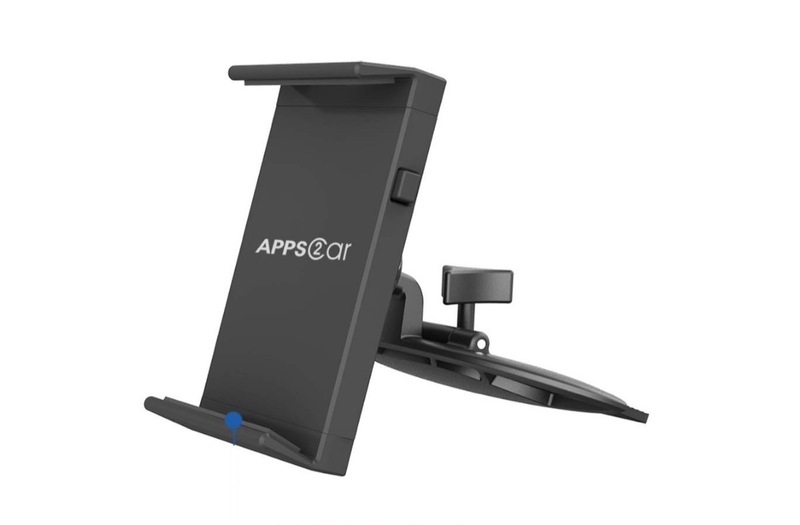 If instead you want to fix the tablet to the windshield then the support that suits you is called Keple and, like the one for the dashboard, it is fixed to the glass through a powerful suction cup. Here too there is an extensible clamp able to embrace the tablet with a diagonal between 7″ and 12″ and a mobile arm to tilt the screen according to the needs of the moment. Here the choice is wider, but it is substantially divided into two coupling modes. 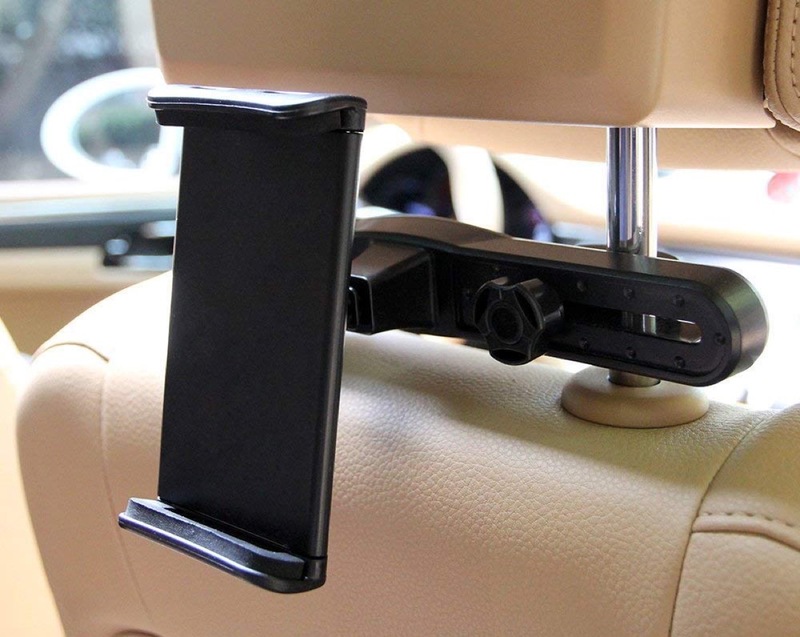 On the one hand there is the support equipped with an extensible clamp fixed on a ball head that guarantees an easy inclination of the display and that locks on the two rods of the headrest. In this case you can choose between iKross, POOPHUNS and GHB and the only difference lies in the aesthetics. The other alternative resides in TFY, which is fixed instead with an elastic band, therefore it is compatible with practically any headrest currently in existence and in this sense it is destined to last even in the years to come. Here, too, to complete the universality of the product there is also an extensible clamp capable of supporting all tablets with screens from 7″ to 11″.